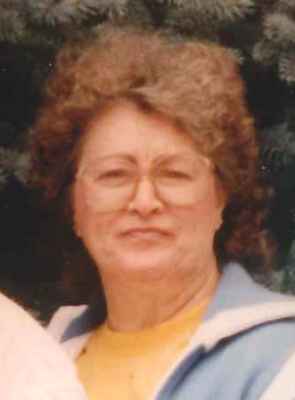 Jane K. Wheeler, 79, of Fremont, OH passed away at Toledo Hospital on Monday, February 5, 2018. She was born on November 19, 1938 in Fremont to Robert and Nova (Copley) Gillmor. She was a 1957 graduate of Fremont Ross High School. Jane was self employed cleaning houses and she also drove a bus for Gibsonburg Schools. She attended Sacred Heart Church and was a member of Church of Christ. She enjoyed crocheting and crafts. Jane is survived by her sons, Leroy (Dawn) Wheeler, Dean Wheeler and Edward (Elsie) Wheeler, all of Kansas, OH and Benjamin Wheeler, Fremont, OH; siblings, Gladys (Glenn) Binkley and Tom (Mary) Gillmor both of Fremont, OH, Clara White, St. Cloud, FL; five grandchildren and seven great grandchildren. She was preceded in death by her parents; siblings, Ken and Dale Gillmor and Louise Voelzke. Visitation: Saturday, February 10, 2018, from 2 pm to 4 pm and 6 pm to 8 pm at Wonderly Horvath Hanes Funeral Home and Crematory, 425 East State St., Fremont, OH.